I mean REALLY! This awesome, flash animated masterpiece is jaw-dropping, Jen! The colors, the characters, the plot! It’s all good! I just really appreciate the time and dedication that has gone into the small details here. And I am in L-O-V-E with the colors you use. I also love that all the characters are talking animals facing sudden doom. It’s great! Buno and Ollie are such an endearing pair and so lovable. I love Ollie’s little hat. I also love how your character’s eyes move and quake during intense scenes. It is just -sigh- so cool. 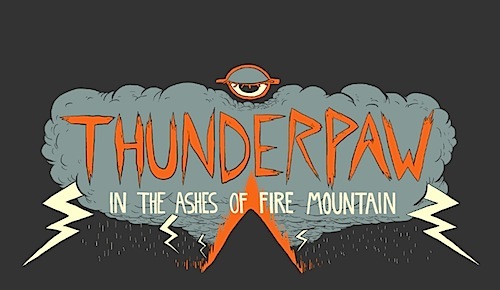 Thunderpaw is just always visually interesting and the way one scene moves into the next is so fluid. You’ve really made it feel like a full animated cartoon that I need to “tune in next time” to see what happens! I am really enjoying it. Thank you for all your hard work and I CAN NOT wait to see what’s going to happen next! All Images Copyright Jen Lee.